Wow, wow, wow. 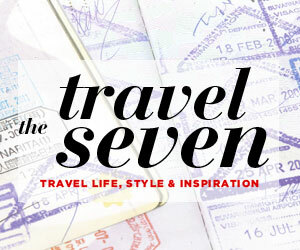 So about a week or so ago my friend Tennille sent me a link saying that Parlour Magazine was looking for folks to feature in their Travel Seven series. So like the good little traveler I am I applied. Today I learned that they decided to feature me!!! I’m so excited. Below is an excerpt from the article and a link to the full text. Please support me by liking it and sharing on your social media. Thanks and WOW!!! 1. My best travel memory so far is… Falling for a complete stranger in Swakopmund, Namibia. Swakop is the perfect place for romance so we took advantage. We walked along the beach collecting shells. We watched the fog roll in off of the Atlantic Ocean. He showed me around the city at night and took me to Jetty 1905, a restaurant named after its location at the end of a jetty that extends nearly 1000 feet over the ocean from the shore. I was trying not to get too caught up because I knew it was temporary, but my endorphins were doing their work and I was swooning despite myself. It’s something I will never forget. 2. My favorite hotel & why… Costa Rica’s Kioro Resort & Spa in Arenal sits at the base of the Arenal Volcano. Until 2010, it was the country’s most active volcano, spewing copious amounts of lava, gas, and ash on a regular basis. All the rooms have balcony doors that open up to face the volcano and the view is STUNNING. Watching the fog roll in or the beautiful blue sky frame the volcano is worth the danger of a potential eruption. Read more.